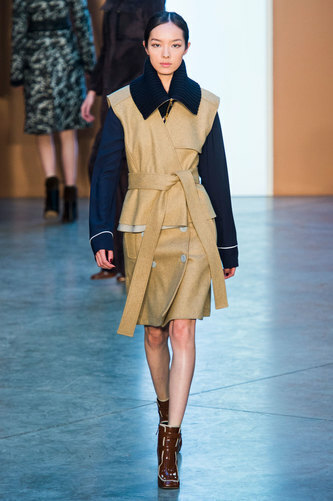 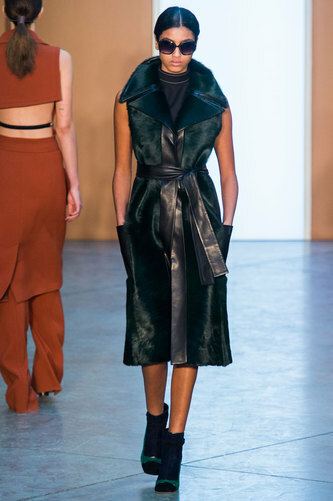 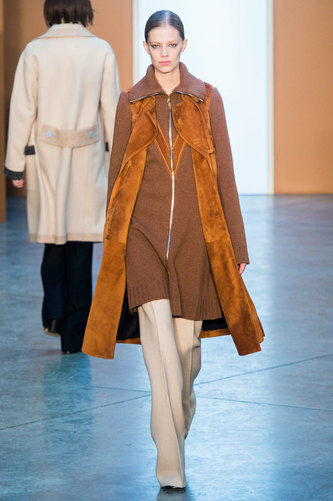 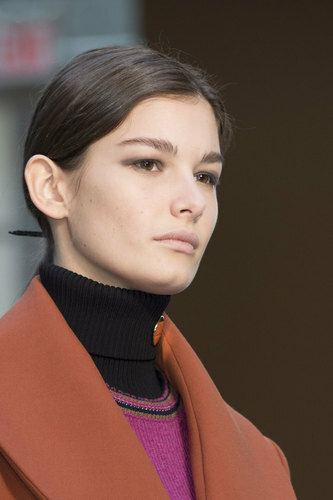 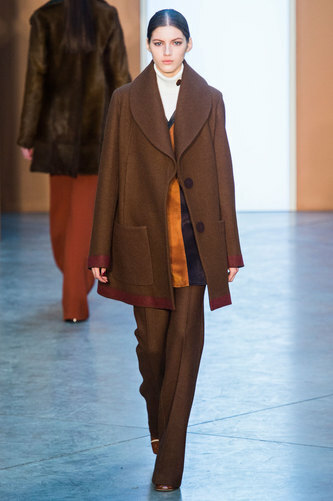 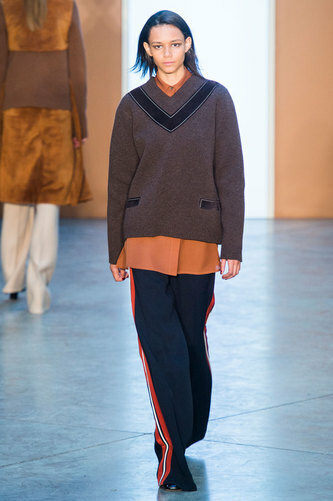 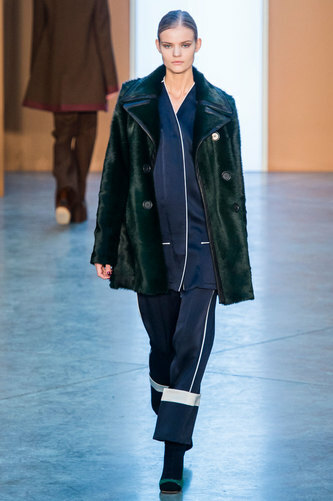 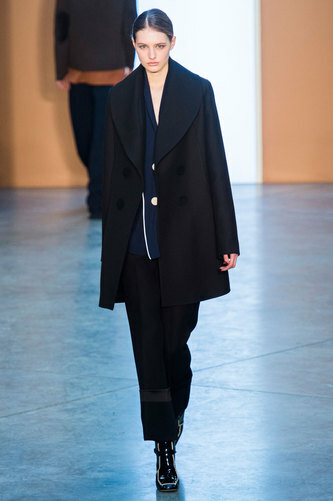 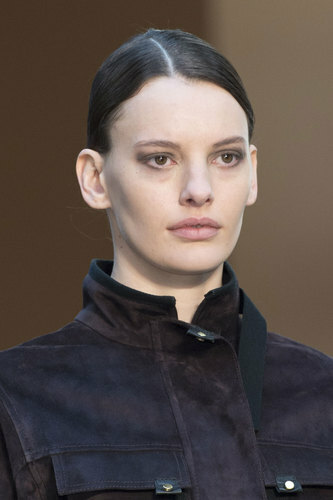 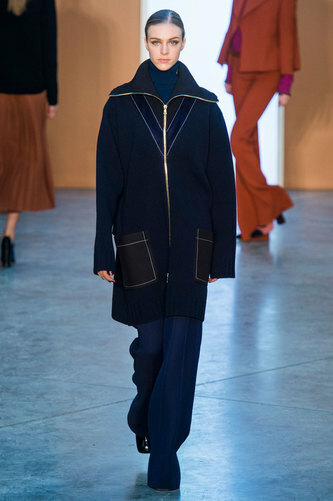 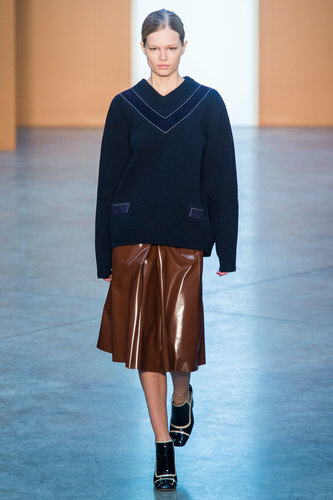 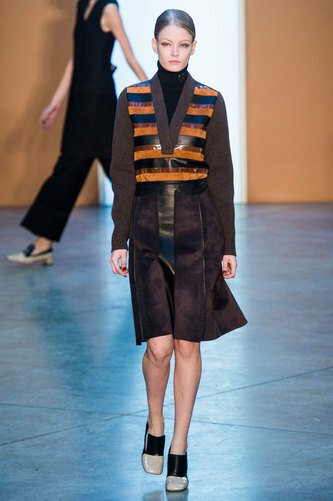 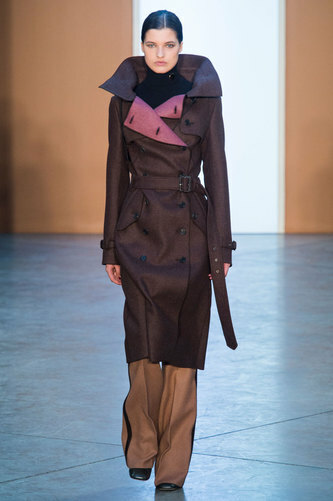 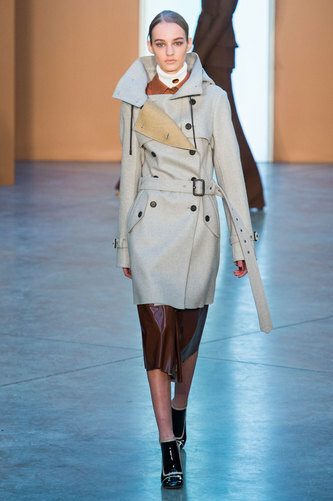 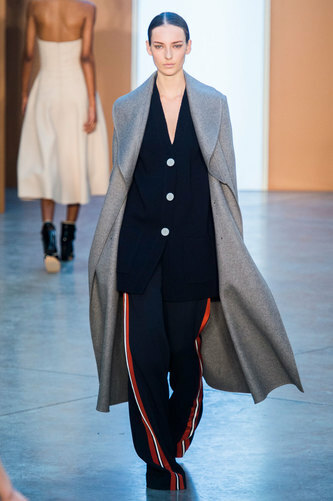 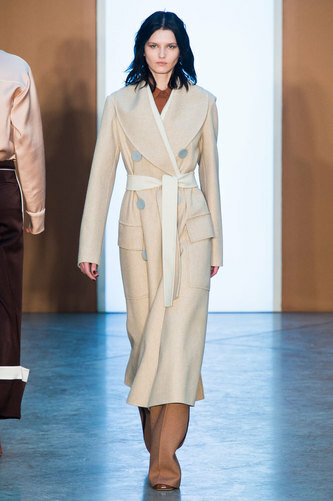 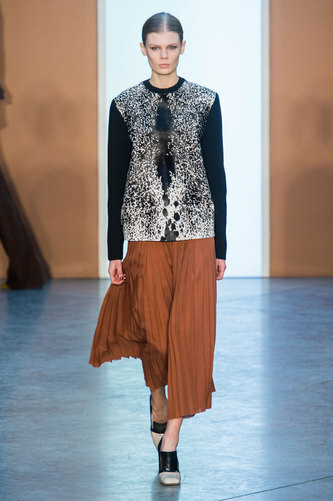 Derek Lam Women Autumn-Winter 2015 - A mixture of looks came down the runway today, at Derek Lam, with a variety of new but not so much out with the old, as signature features of the brand still shone through. 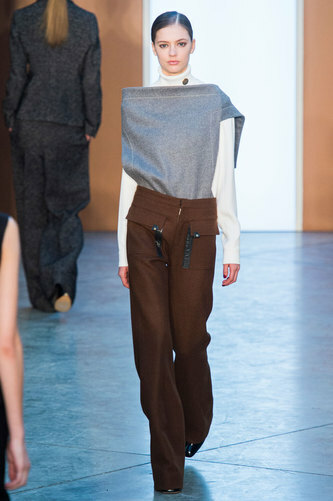 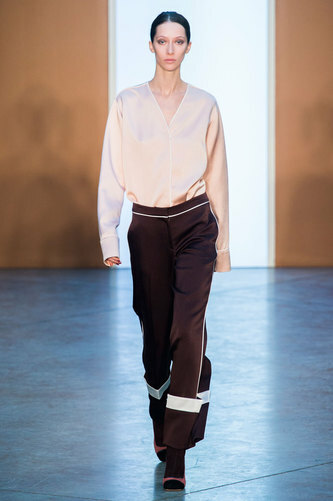 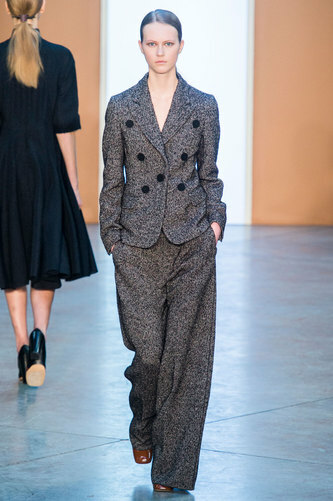 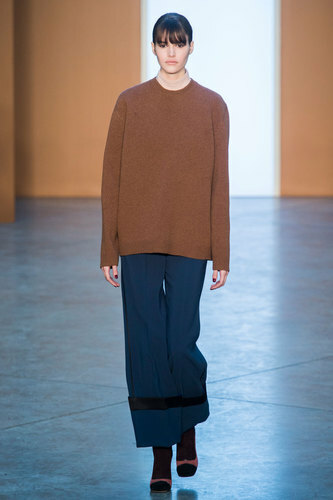 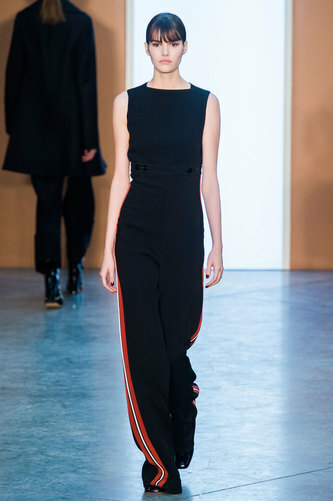 A variety of trousers were noticed – wide leg and flares, with clean silhouettes, a traditional feature of Derek Lam’s clothing – with feminine fabrics, floaty, pleated chiffons and woolen skirts. 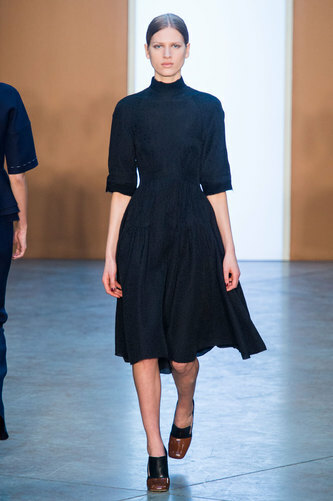 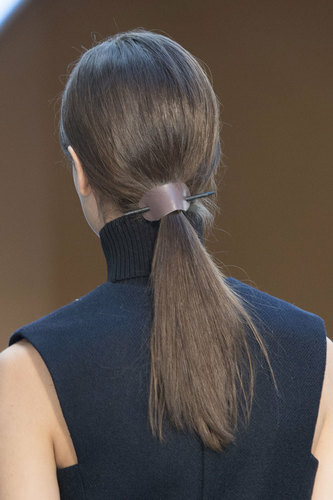 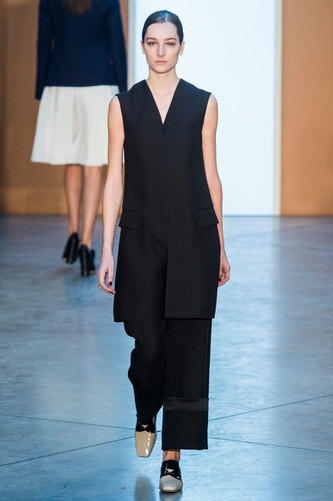 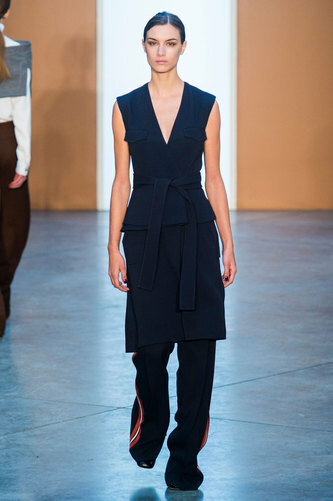 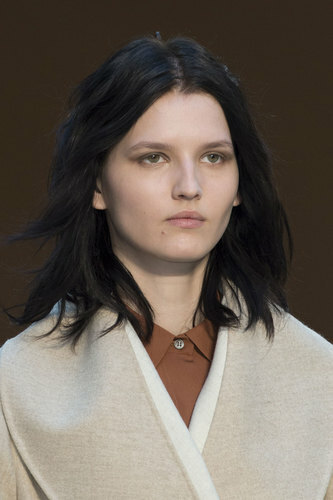 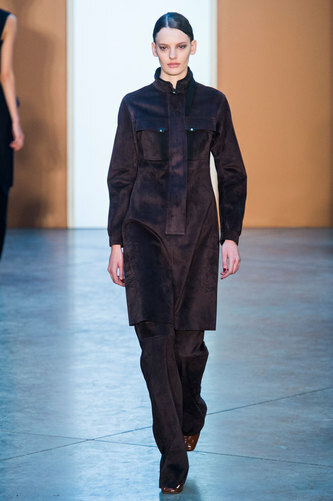 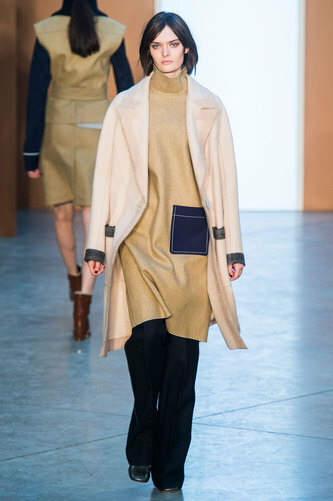 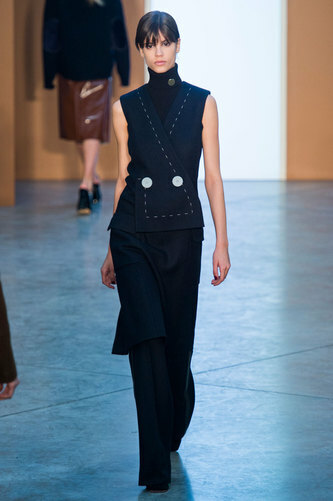 A slight touch on similarity with Victoria Beckham’s autumn/winter 2015 collection. 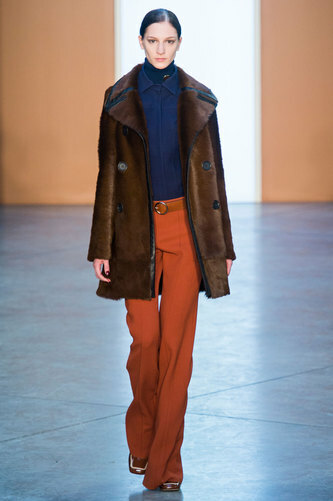 The 70’s feel was added to by the accessories – loafer style shoes and thin belts. 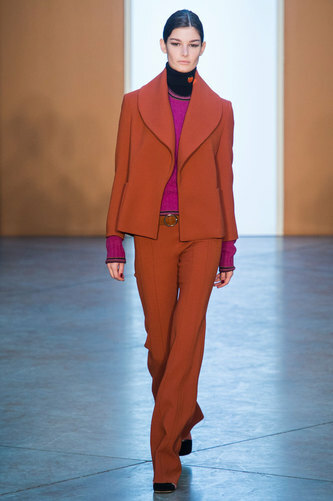 The top half of the collection compliments, with a vintage vibe and hippie-chic mood e.g a very low V neck jumper (which seemed to be constant) , with woolen sleeves and a striped, leather body of reds and browns – a piece that really stood out for me, as the use of layering shirts and jumpers, revealing the collar paired with flares.